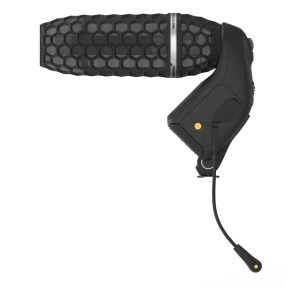 1st April 2013, Sydney Australia – Australian-based microphone designer RØDE has announced the i16, a surround sound microphone for iPhone, iPad and iPod touch that combines sixteen discrete microphone capsules to capture the user’s surrounding audio environment in broadcast quality. The new microphone uses RØDE’s own field recording app, RØDE Rec, to record the sixteen tracks simultaneously at quality up to 24-bit/96kHz. At the heart of the i16 is an incredible sixteen individual gold-sputtered cardioid condenser capsules, which allows the user a high amount of freedom to record in either surround, stereo, mono, or anywhere in between. The i16 is available with both Apple Lightning (iPhone 5, iPad mini) and 30-pin connections. 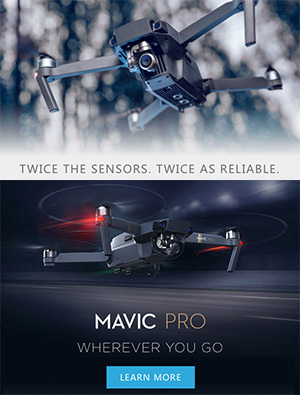 Both are shipping now, with a MSRP of US$399. 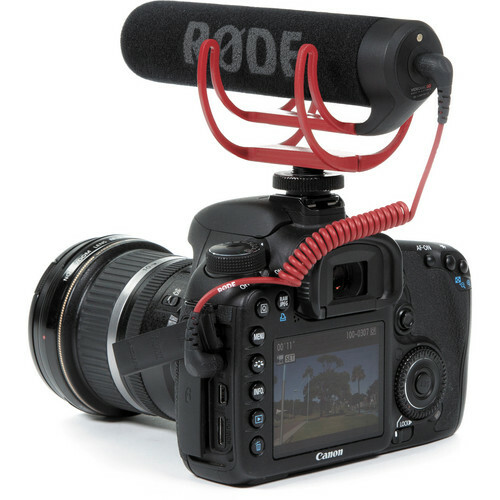 Definitely sounds like an April Fool's joke..
Posted in DSLR Audio, Rode VideoMic. 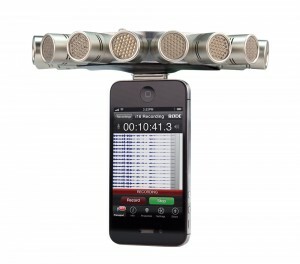 Tags: iOS microphone, Rode 16 surround microphone iPhone, Rode i16 on March 31, 2013 by Emm. 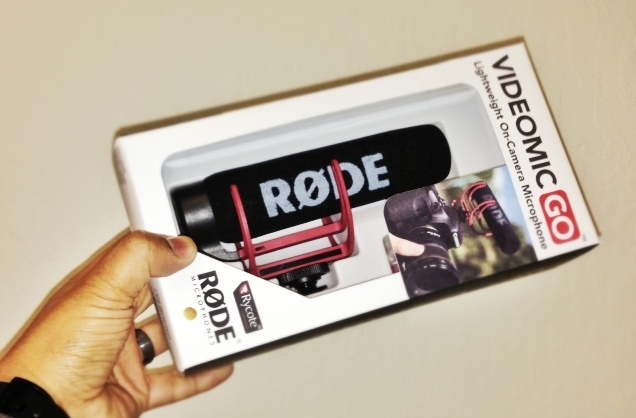 Posted in DSLR Audio, dslr video, Rode VideoMic. Tags: Rode iPhone Microphone, Rode iXY, Rode Lav, Rode stereo microphone on March 20, 2013 by Emm. 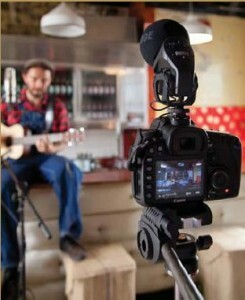 Rode Microphones has announced another iOS Product called the smartLav. 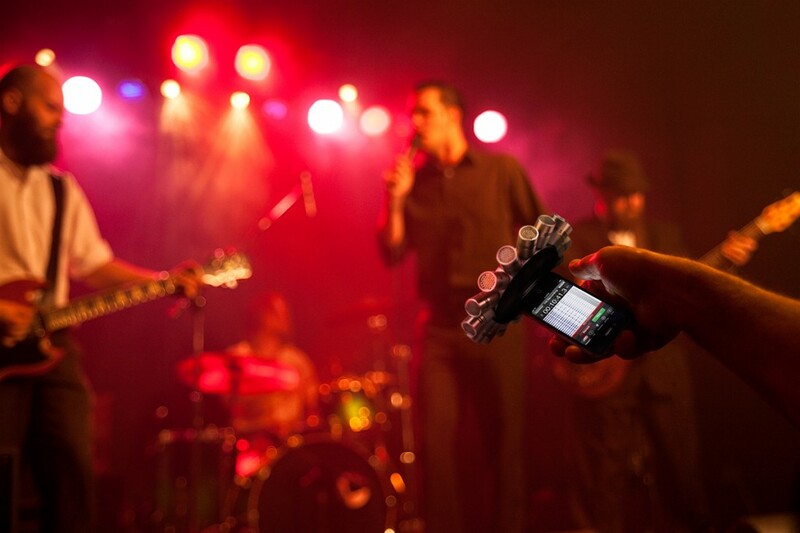 The smartLav uses a TRRS connection to plug directly into any iOS device and uses an Omni-directional capsule picking up sound equally around the lav microphone. 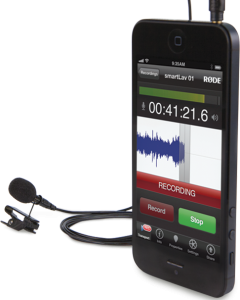 The smartLav will work with other recording apps, but is perfectly paired to be used with the new Rode Rec App which includes a wide range of equalization presets to suit various recording situations. 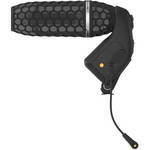 The smartLav should retail around $60 bucks. 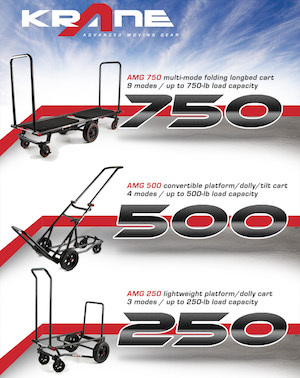 For more information check out the dedicated website at http://smartlav.com. 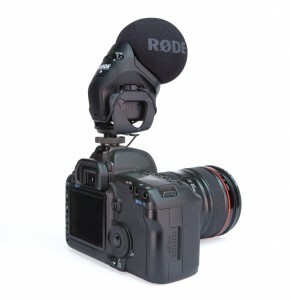 Posted in DSLR Audio, dslr video, Rode VideoMic. Tags: Rode iPhone Lav, Rode Lav, Rode smarLAV ipod ipad iphone on February 1, 2013 by Emm. 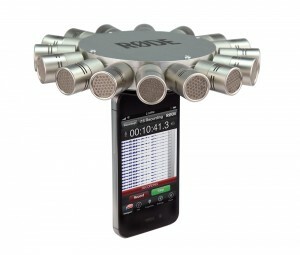 PMA at CES 2013, Rode Microphones showed off the new iXY Stereo Recording Microphone for iPhone/iPad. 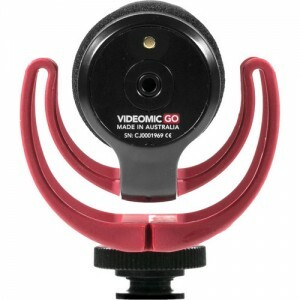 The add-on microphone attaches to your iPhone or iPad and offers Two 1/2" Cardioid Condenser Capsules, Onboard A/D Conversion, and up to 24-bit/96k Recording (higher quality audio than the iPhone was previously able to handle). I'm sure you've seen the product announcements on other blogs, and this is a great interview that should answer any further questions. It's a great little product, but i'm sure the price will drum up a few comments. What do you guys think about this new Rode offering? 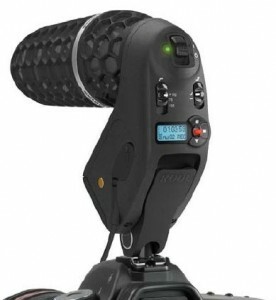 The new Rode iXY is available for pre-order and expected to be released in March via B&H (click here). 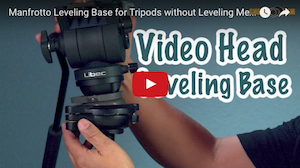 Posted in DSLR Audio, dslr video, Rode VideoMic. Tags: iPad Rode Microphone, iPhone microphone, Rode iXY on January 13, 2013 by Emm. 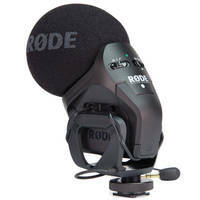 Rode commemorates 15 years of classic sound with a very limited edition Classic II microphone. A fine collector piece that looks as great as it sounds. Press release found below. 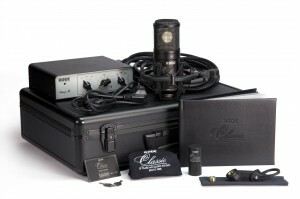 Wednesday October 5, 2011, Sydney Australia - To commemorate the Classic and Classic II tube microphones, RØDE has announced a custom edition of its Classic II, exclusively limited to an edition of 500 worldwide. 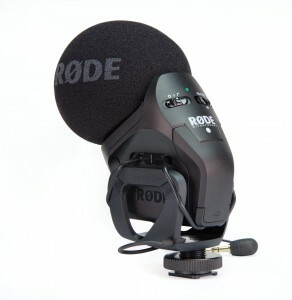 The release of this microphone coincides with RØDE’s decision to retire the RØDE Classic lineage, following a celebrated 15 years as the Australian microphone manufacturer’s flagship model. At the heart of the microphones’ ‘classic sound’ is the 6072 twin triode valve, as found in most of history’s most revered transducers. The transformer, custom designed by Jensen to perfectly match the 6072, pairs with the valve to provide the signature classic warmth. Both the Classic and Classic II capsules are hand assembled dual pressure gradient transducers, sputtered with pure gold. The microphone body is machined from solid brass and polished by hand before coating with stain nickel. This new limited edition Classic II microphone is the most exclusive offering that RØDE has ever presented –– only 500 microphones will be crafted, and then the RØDE Classic badge will be retired into audio history. For the very first time the RØDE Classic is finished in a lustrous matte black, with the ‘15 Years of Classic Sound’ logo proudly etched onto the microphone’s brass body to signify the microphone’s esteemed status as one of the most revered tube microphones of the last 30 years. A second of the extremely rare 6072 twin triode tubes is supplied in a custom made, etched aluminium storage cylinder to ensure that this microphone’s classic sound will last for many years to come. A leather bound embossed collector’s coffee table book documents the history of RØDE’s flagship microphone. 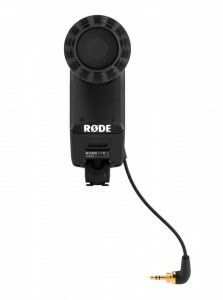 RØDE’s reputation of providing outstanding product support and warranty is exemplified in the microphone’s lifetime warranty. 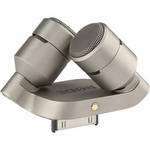 Upon online registration the owner will receive a fully personalised titanium warranty card featuring their name and the serial number of their microphone. The microphone’s aluminium case and power transformer are also finished in black, and marked with the commemorative logo. The included 30’ (10m) cable features double-shielded, oxygen free copper wiring with heavy duty plugs and sockets. 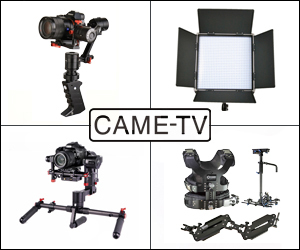 A suspension shock mount and stand mount are also included to complete the package. Stores should begin carrying this item soon. 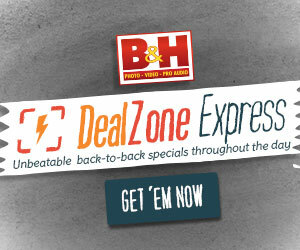 When the limited edition collector item microphones become available, you should be able to find it through authorized dealers like B&H (click here). Posted in Rode VideoMic. 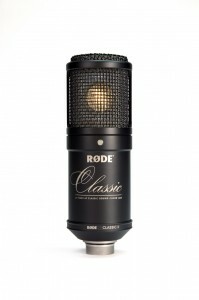 Tags: rode classic, rode classic II, rode limited edition microphone on October 5, 2011 by Emm.